The 142nd episode of THE FIRE AND WATER PODCAST is now available for your listening pleasure! THE FIRE AND WATER PODCAST is the official podcast of FIRESTORM FAN and THE AQUAMAN SHRINE. You can find the 142nd episode of THE FIRE AND WATER PODCAST on iTunes. While you’re there, please drop us a review on the iTunes page. Every comment helps! Alternatively, you may play the podcast using the player below or by right-clicking “download”, choosing “Save Target/Link As”, and selecting a location on your computer to save the file (68 MB). Posted in: Firestorm #01: Original (Ronnie/Martin), Flash TV Series, Franz Drameh, Podcast, Professor Martin Stein, Robbie Amell, Ronnie Raymond, Victor Garber. ← Flash Season 2 Episode 4: The Fury of Firestorm – SPOILERS! As for the Flash premiere, I enjoyed it, but it wasn’t as WOW as I expected. 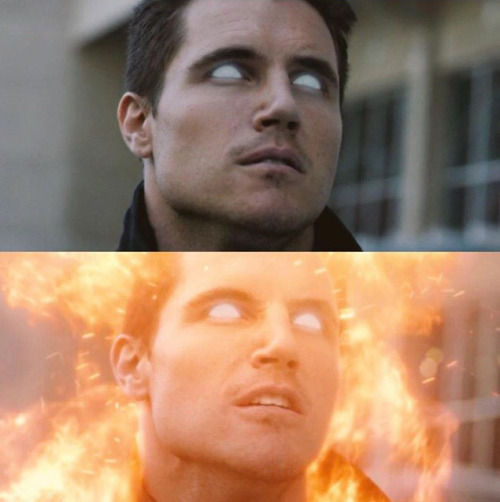 I agree with Shagg that the Firestorm CGI was a bit more noticeable than past episodes. I don’t think Ronnie’s dead-dead. No body and parallel universe plots probably mean he’s out there for guest spots. Henry Allen’s sudden and inexplicable exit MUST be some plot point coming up. Did Harrison Wells put his mind in Henry’s body or something? Why else would he be so nice as to confess and free Henry? I sure hope there is more to this, because it was very unconvincing. Great episode, glad to hear I wasn’t the only that was a little underwhelmed by the Flash season premiere, after such an awesome cliffhanger finale for season 1, and months of building anticipation, odds are it wouldn’t live up to my expectations. Still looking forward to what this season is going to bring to the table. I love the Will Payton Starman series by Stern and Lyle! Came across that at a pretty early age and just devoured it. Looking at it in hindsight, it seems to fill the same sort of niche or target demographic for DC that Firestorm originally did when he launched. He fills the role of DC’s Spider-Man, a younger hero who accidently happens across his powers and has to balance these mysterious new powers with the stresses of life as man in his early 20’s. Throw in an alien invasion and super team of xenophiles hunting him down, and you have a pretty cool new dynamic that is younger audience friendly in the darker post-Crisis DCU. Man this series is a lot of fun! I think I did a podcast episode or two covering the first 10 issues or so a while back. I really recommend tracking this series down, it’s cheap, like Professor Alan Quarterbin cheap! 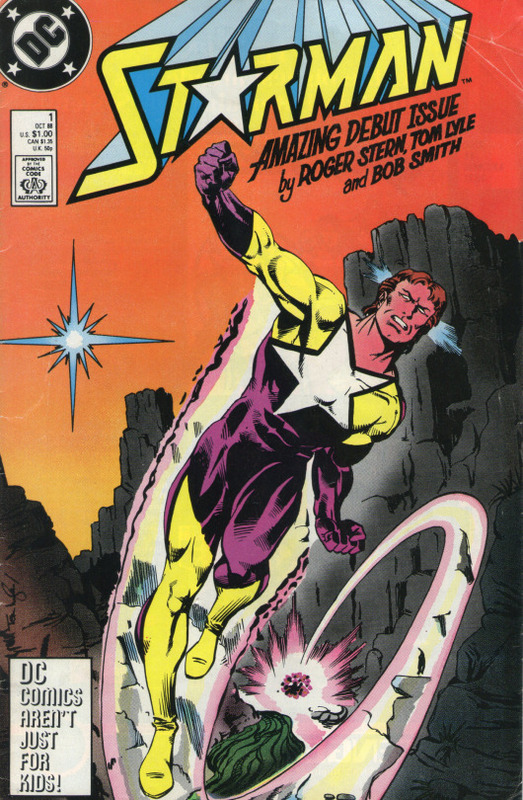 My experience with the Will Payton Starman was pretty limited, but I thought it worth noting that he played an important role in the “Krisis of the Crimson Kryptonite” storyline, which not only introduced a novel concept for Red K (which was, sadly, ignored ever afterward) but culminated in the engagement of Clark Kent and Lois Lane. I still grieve the loss of that relationship with the New 52….